"I Look up to the mountains-- does my help come from there? Today I write about tolerance for others beliefs. I am for the first time in my life experiencing grief for my children as I raise them up in this world and choose to put them in public school I can see that I not only have to teach them our beliefs but also tolerance for their peers beliefs. I find myself on the minority as a Believer in Christ teaching my children that gifts do not come from Santa Clause and as my husband and me feel that to teach them the truth in the beginning is the best path to take. As both of us grew up in homes that told us the lie that most parents tell their children that Santa Clause will bring them gifts. When we both finally found out the truth we both experienced hurt and pain and we do not want to carry on such a tradition as it is in this nation. 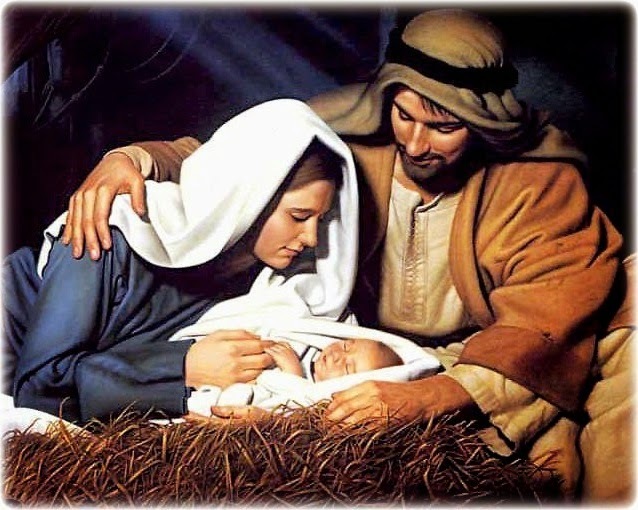 Our belief is to tell them the truth and that is our belief and faith in Jesus Christ being born on Christmas day. We are teaching them about the joy found in giving, caring, and loving to the best of our abilities. But, as a minority I know that if we don't teach them to tolerate the majority who will be talking about Santa Clause they will be persecuted and it will create great stress for us with other parents. This saddens me greatly that it's just assumed that everyone believes this way instead of taking into consideration other's beliefs we live in a time where this one belief bullies and rules out all others. So should I tolerate your beliefs in Santa Clause? Why should I when you don't tolerate my beliefs in not teaching this fairy tale to my children? Think about that the next time you say to someones children, did you visit santa clause or is santa going to visit you? Your children will believe what you believe and my children already know that Jesus Christ is the reason why we celebrate Christmas, not santa clause. Does that offend you? Well, it offends me that I am the minority in a supposedly christian nation. Kind of makes you think twice about such a report.... I am praying for the truth of Christ to be wide spread and taught to our children more and more it's not just a belief that we as Christians should keep amongst ourselves and in church it is Our Lifestyle that will make an impact in this World. Our you going to be a bright light being bold for your faith or a dim bulb, blending in not causing any fuss?? What would Christ want us to do and how would He want us to live as His followers? Do you follow the rules of this world and it's beliefs conforming to them or do you embrace a changed life made by the Holy Spirit transforming you from the inside out? I know my answer! What's yours?